Russell Wilson is “thrilled” and “honored” the Rangers picked him in Rule 5 draft, his agent, Mark Rodgers, just told me. 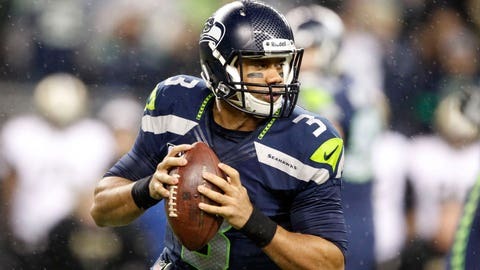 Will Russell Wilson play baseball again? Probably not … “I think Bo Jackson and Deion Sanders’ legacies are secure,” Mark Rodgers said. Russell Wilson was at work watching film on the Giants when his agent called with news of the Rangers pick — at 6:15 am Seattle time.